Amy Reed is author of the young adult novels Damaged, Beautiful, Clean, Crazy, and Over You. Her theme is obviously troubled teen girls, addressing problems of abuse, drugs, mental illness, loss, and self-image. With Invincible, she moves onto terminal illness. Evie has cancer, and things are not looking good. Her first disagreement with her family happens when the doctor says that her treatment hasn't made her cancer go away, and offers her more aggressive treatment and an experimental option. Evie asks what the chances of success are, and quickly decides she wants to forgo any further attempts to cure her. She starts to contemplate death and her final days. But her family is shocked, assuming that any chance of life is worth it. Although before her illness, Evie was a conventional popular girl in the cheerleading squad, dating one of the most popular guys in their high school, she has changed. In the cancer ward, she makes friends with a punk alternative girl called Stella. Stella is angry, feminist, and ideological. Evie and Stella bond over their illnesses, music, and humor. Her relationships with her boyfriend and her high school best friend become more strained. Living in the sickworld, Evie starts to find it harder to communicate with the healthy. Reed portrays all this well. It's a really interesting depiction of the angst and alienation that can result from chronic illness. The reader wonders whether the whole novel, 336 pages, or over 8 hours in the unabridged audiobook, is going to be devoted to Evie's dying. But then the novel changes. Suddenly, Evie recovers. The story becomes about whether having faced death, she can face life. Here, about half way through, Reed raises the stakes by having Evie get addicted to pain meds and other drugs. When she was ill, she needed drugs to cope with her pain. Now, she can't cope with her everyday existence, and she needs drugs to escape from herself. Everyone is understanding and makes allowances for her behavior until it is too late, and she comes to the edge of self-destruction. The novel ends pessimistically, with only a faint possibility that Evie will make it to her 18th birthday. There are different readings of the book. The simplest is that it is a stern warning about the dangers of powerful pain medications. That's certainly a central theme. But the book is more ambivalent about Stella. In some ways, she seems to be Evie's savior, a breath of fresh air and relief from the conventionality of high school values, football games and dating. But on the other hand, Stella's anger and irresponsibility led to Evie becoming distant from her family, and arguably, to Evie's slide into addiction. So there's a puzzle here. The second half of the book is heavy-handed and Evie's character ceases to be sympathetic. But it is still interesting as a depiction of how illness and addiction can change a person, altering their perception of other people and their own self-understanding. Here the writing is surprisingly sophisticated, dramatically showing how Evie becomes increasingly separated from reality and stuck in her own world of desperation. We get some insight how her distorted thinking and emotional reactions lead to a circle of self-destructive behavior, rejecting help and sympathy from others. 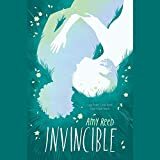 The unabridged audiobook is read by Amy Rubinate, whose performance conveys Evie's emotions without becoming too overblown, which shows good moderation given the drama of Reed's writing style.